FIFA has had its fair share of overpowered players over the years. The likes of Ronaldo or Messi are justifiably awesome, but there are also those who, thanks to high stats for pace, strength or other key elements, perform far better than their overall ratings suggest. There have been loads of these types of players since FIFA Ultimate Team launched with FIFA 09, and fans have grown to love and hate them in equal measure – they’re great if you have packed one of these stars, but it’s a different story if you come up against them. The following eight players proved practically unstoppable in their respective FIFAs, and were often available on the cheap, too. 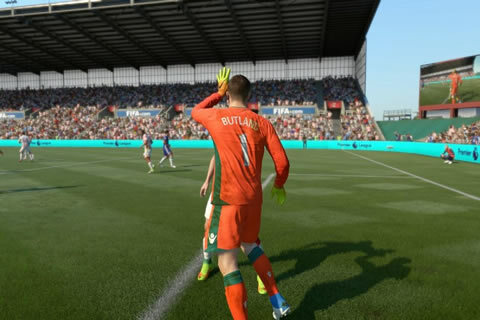 Admittedly, Jack Butland is an exciting young talent who’s pushing Joe Hart to be England’s number one, but his displays in FIFA 17 match those of the some of the game’s most expensive keepers. Yes, his standard 82-rated card in Ultimate Team looks decent enough on paper, but his in-game performances far surpass his stats. As an added bonus, he’s available for bargain prices, making him a must-buy for any competitive FUT Champions side. And if you buy him in Career Mode, his potential can rise to 89 and above. Following his transfer to Chelsea in January 2011, David Luiz’s FIFA 12 rating was 83. The Brazilian’s stats weren’t particularly special, with his strength and standing tackle (both 83) being his main attributes. On the pitch, however, Luiz was a defensive powerhouse, using his speed and excellent tackling to deny even the most highly-rated strikers. As if that wasn’t enough, he was a threat going forward, too, benefiting from reasonable dribbling, agility and passing abilities. Gary Neville once described him as a PlayStation player – well, he played a pretty good game on consoles. Italian international Stephan El Shaarawy was a 73-rated CAM back in 2011, the same year he made his debut for AC Milan. Despite only possessing a silver-rated card, the attacking midfielder somehow managed to emerge one of the top players in the entire game. El Shaarawy was a prolific goalscorer, with 5-star skill moves and pace that made up for his otherwise mediocre stats. He was rated highly in subsequent games, but he was a surprise package in FIFA 12. Back in his Spartak Moscow days, Olympiakos striker Emmanuel Emenike’s FUT 13 card was well-known for its dominant attacking abilities – the striker terrorised opposition defenders with his sheer speed and outstanding strength. His FIFA 13 rating only clocked in at 81, but under the hood, his 94 strength, 93 acceleration and 89 balance resulted in a colossal striking force. Similar to other impressive forwards such as as Welliton and Alexander Esswein, Emmanuel Emenike’s FIFA 13 incarnation proved utterly unstoppable against all but the most talented defenders. FIFA 15’s biggest pace threat came in the form of Ivory Coast international Seydou Doumbia. The ex-CSKA Moscow striker benefited from incredible 93 pace (94 sprint speed, 91 acceleration), propelling his in-game abilities far beyond his overall rating of 82. Despite lacking strength and agility, he more than made up for those weaknesses with excellent dribbling and ball control, as well as providing lethal finishing from both close and long range. Seydou’s real-life form saw him rewarded with a four-and-a-half year deal with AS Roma in 2015. FIFA Ultimate Team’s first ever outing saw the then-Aston Villa forward John Carew excel in an attacking role. His incredible 96 strength was the catalyst for this, allowing him to easily brush off opposing defenders – he also benefited from 92 heading, 87 shot power and 86 sprint speed stats. Very much the full package in FUT 09, the Norwegian international returned a year later with similar attributes, making him just as essential in FIFA 10. Carew has since retired in real life, having last appeared for West Ham United back in 2012.